WHAT IS A UNION CONSTITUTION? Federal law allows unions to "establish and enforce rules of membership." These rules of membership are generally known as the union's constitution. At the local level, locals will often have supplemental rules called bylaws. 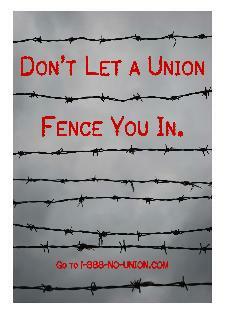 While most union members have heard of bylaws, many have never heard of a union constitution. Yet, it is the union constitution that, in most cases, is the controlling document of the entire union (and its members). For union members, these documents (union constitutions and bylaws) are often seen as a contract between the union and the members (at all levels). This means that they are enforceable. If, for example, you are a union member and you were to violate a union's constitution (or a local's bylaws), most unions would be able to place you on union trial. If you were to be found guilty by a union trial board, most unions would have the ability to fine you money, suspend your membership or kick you out of the union (that's called expulsion). If you were to refuse to pay a union's fine, the union could take you to a court of law in order to force you to pay. Union trials happen more than most unions admit and, often, they are a result of a union member not knowing his or her membership responsibility to the union. To read more about union fines, go here. WHAT ARE UNION MEMBERS TYPICALLY PUT ON TRIAL FOR? The most common thing members are put on trial for by their union is for working during a union-called strike. However, there are other things that members have been put on trial for as well. FOR SPECIFIC EXAMPLES OF WHAT UNIONS CAN PLACE MEMBERS ON TRIAL FOR, GO HERE.